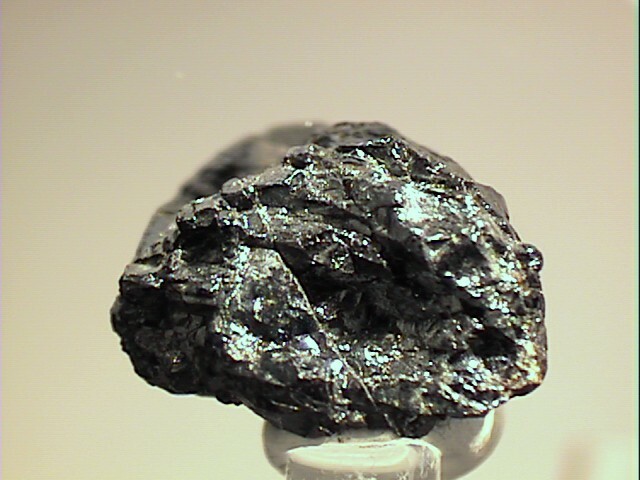 Chemistry: Y2FeBe2Si2O10, Yttrium Iron Beryllium Silicate. Uses: A minor source of rare earth metals and as mineral specimens. Gadolinite-(Y) is a somewhat rare mineral, but does come in some attractive crystals that collectors desire. It forms prismatic, nearly diamond-shaped cross-sectioned crystals, usually with a green color and a nice luster. But it is its chemistry that is really unique. It is composed of two rather scarce elements, yttrium and beryllium. Yttrium is a rare earth metal and rare earth metals are finding more and more industrial uses. At times significant quantities of other rare earth metals such as cerium, lanthanum and neodymium will replace some of the yttrium. If cerium is very abundant in the mineral then it is called gadolinite-(Ce). Color includes black, greenish-black or green. Luster is vitreous to pitchy if black. Transparency: Crystals are transparent to translucent if green, opaque if black. Crystal Habits include massive or embedded, also prismatic crystals with nearly diamond-shaped cross-sections and slanted dome terminations. Specific Gravity is 4.0 - 4.7 (heavy for non-metallic minerals). Streak is green to gray-green. Other Characteristics: Index of refraction equals 1.79. Associated Minerals include xenotime, synchysite, aeschynite, monazite, fluorite, allanite and some feldspars. Notable Occurrences include the type locality for gadolinite-(Y) at Kopparberg, Sweden and for gadolinite-(Ce) in the Oslo region of Norway. Gadolinite in general is found as well in China; Kola Peninsula, Russia; Austria; Arizona and Colorado, USA and Switzerland among others. Best Field Indicators are crystal habit, lack of good cleavage, streak, density, pitchy luster when opaque, hardness and color.